port GmbH회사는 CANopen Master/Slave Stack 솔루션을 제공합니다. ANSI-C기반으로 설계된 CANopen Stack는 Master/Slave Stack 버전과 Slave only Stack 버전으로 구분하여 제공하며 Single-Line CAN버스방식과 Multi-Line CAN버스방식을 지원합니다. 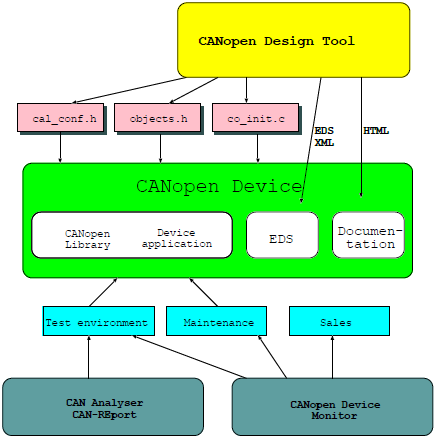 아래 도표는 CANopen stack기반 지원하는 CiA(CAN-in-Automation) Device Profile관련 모듈리스트입니다. 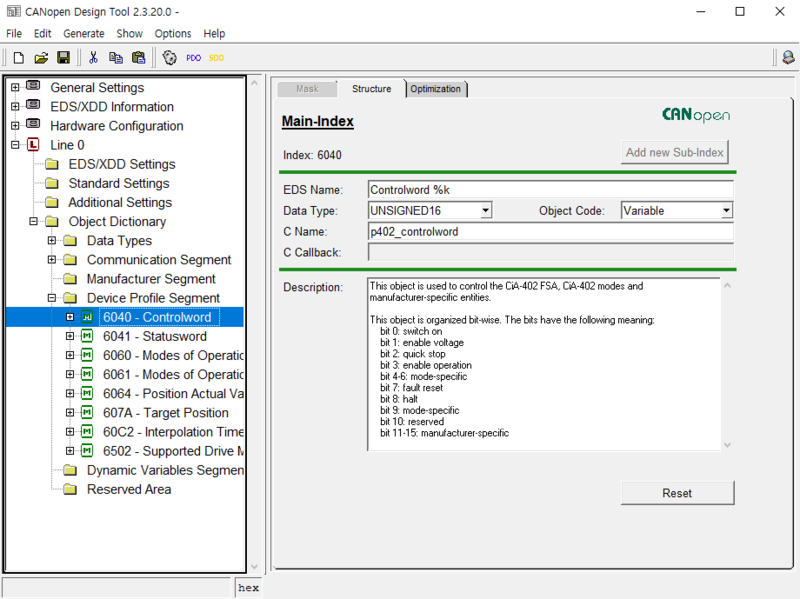 CANopen Design Tool은 CANopen Application를 구현하는데 있어 빠른 개발을 할 수 있도록 PC(Windows or Linux)에서 지원하는 디자인툴이다. 특히, Object Dictionary 생성과 관련 소스 및 문서들을 자동으로 생성하여 개발기간을 단축시킬 수 있는 핵심 툴이다. 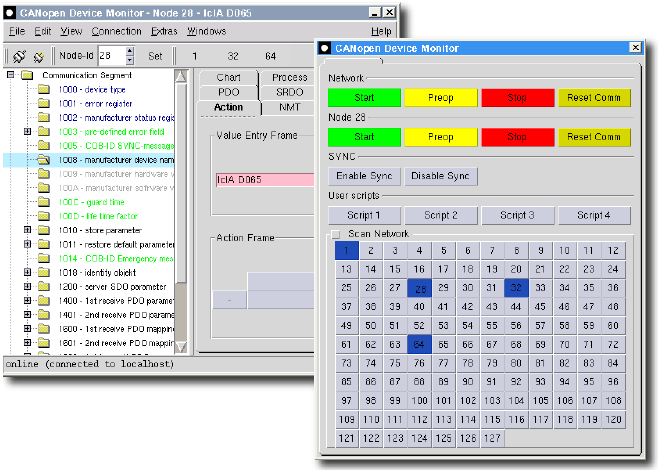 CANopen Device Monitor는 PC(Windows or Linux)기반에서 CANopen Master Simulator 역할을 하면서 CANopen Slave Stack에 적용된 Product Device를 Monitoring 및 Control할 수 있는 기능성을 제공한다.